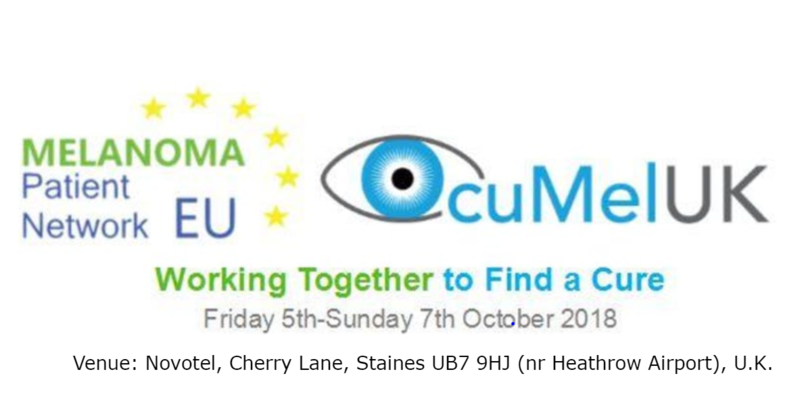 Next week, from Friday 5th to Sunday 7th October 2018, the Ocular Melanoma Patient Conference will be held at Novotel Hotel, Heathrow, London. "We understand that being diagnosed with Ocular Melanoma or other rare cancers can leave patients facing many challenges. There is often a lack of support available and many hospitals do not have the knowledge or expertise to correctly advise on surveillance, treatments and sources of up-to-date information." During the 3 days, cornerstone topics such as patient advocacy, clinical trial design and implementation of promising treatments from a pre-clinical phase to clinical practice will be discussed. To see the meeting's official page and information on how to register here.